The Javilliers have been involved in the wine business for generations as courtiers. When Patrick started out in 1974 this was the main source of his income, alongside which he worked three hectares of vineyards. In 1990 he was able to give up being a courtier as the domaine was by then large enough and well enough established. There are some red vineyards though his wife’s family, but the core of the domaine is white. Patrick Javillier is now one of Meursault's best growers. An electrical engineer by training, he later studied oenology in Dijon before taking over his father's small Meursault estate. 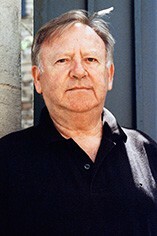 He gradually expanded the vineyard holdings to over 9 hectares and has been estate bottling his wines since 1990. Patrick is one of the most reflective of white wine makers, the walls of his cellars and the sides of his barrels being covered in chalk where he has been developing one or another of his theories. He is absolutely persuaded that long élévage on the lees is essential for the future development of the wine in bottle, so he uses a Vaslin press for his whites because it keeps more of the solids than a pneumatic press. Most of the wines are taken out of barrel after a year, then matured further in tank on their fine lees. The Corton Charlemagne spends a second winter in wood. It would be difficult to find another winemaker with quite such a perfectionist attitude as Javillier, a man who approaches winemaking with the precision of a research scientist, yet is always ready to question his own success. The results are startling, more so given that he has only one tiny Premier Cru holding. Not only does he vinify parcel by parcel but also cask by cask before making the final assemblages. The Bourgogne Blancs are vinified as crus and have all the character of real Meursaults. The Clos from the upper slopes are steely and firm, while the beautifully balanced Tillets, Casse-têtes and Clos du Cromins have a delightful touch of honey. Javillier's Narvaux wines derive part of their noble breeding from Perrières, their next-door neighbours. 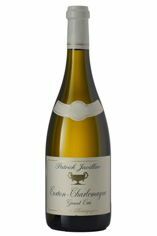 Interestingly, the top wines such as the Corton-Charlemagne are fermented and matured entirely in one year old wood, with new barrels being used (25-30%) for the Meursault and Bourgogne vineyards on the lower slopes with more clay and less active limestone in the soil. Patrick favours Damy as a cooper with a selection of wood from the Allier, Vosges and Nevers forests to provide a balance of styles. Patrick Javillier also makes Berrys' Meursault from purchased grapes under the name of Guyot-Javillier. 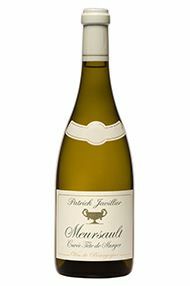 Our 2017 Meursault comes from a selection of vineyards from across the village, including the well-regarded Murgers de Monthélie and Les Clous. Raised completely in oak barrels to give smoky aromas and the hallmark buttered toast notes of classic Meursault, this wine has broad shoulders and rich stone-fruit flavours which are complemented by a racy, saline finish. This higher vineyard above the village, southeast- facing, was entirely frost-free this year. W hen we tasted, it was showing as quite fresh, but there is plenty of substance here, and the 33 percent new oak is not evident, boding well for the future. The finish is equally promising, with some excellent Meursault detail emerging. The Javilliers have been involved in the wine business for generations as courtiers. When Patrick started out in 1974 this was the main source of his income, alongside which he worked three hectares of vineyards. His courtier days are now long behind him, and his domaine covers nine hectares. Recently, Patrick has been joined by his daughter Marion and her brother-in-law Pierre- Emmanuel Lamy. Patrick is not far away from 50 vintages; Marion is now making the estate’s red wines, and Pierre-Emmanuel largely does the whites – not that Patrick is taking a back seat. As always, conversation with him is peppered with observations; indeed he has been closely involved in the discussions to create a new generic Côte d’Or appellation, a move that would appear to now just need a rubber stamp. There wasn’t too much frost damage here and harvesting began on 20th September; Patrick observes that the character of the vintage is one that can take a bit more bâtonnage than usual. 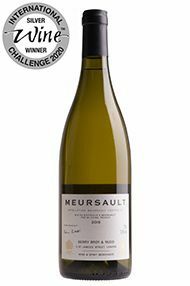 This is also a blend of two vineyards: Casse-Têtes (east of Les Tillets) and Murger de Monthélie, on the northern border of the appellation. This is always a richer wine, and is also more restrained and compact. It has great length and classic Meursault style, with some butter and creamy notes. Drink 2020-2025. This is from the Pougets portion of the Grand Cru, more south-facing on marl, which is capable of lush and exotic wines. No new oak was used this year. This has an impressive level of ripeness, with sweet grapefruit and citronella; it’s lovely, long, ripe and sweet, with no Charlemagne austerity. Intense and lush on the finish. Drink 2020-2028. The wine has a fine, pale colour with a light green tint. The palate is very lively, with exciting fruit, some lime blossom; a vivacious, medium density; good finesse, long and stylish. This has an excellent persistent finish, fresh and delicious. Patrick likes the freshness and purity of 2014, with nothing that hints at vulgarity. He compares the vintage to 2002 and the best of 2004. Elegance is the hallmark of 2014 but there is good body too, with the wines coming in at or just over 13 percent alcohol. The wines were bottled in the autumn. Patrick crafts this cuve from grapes blended from two vineyards, one from the hillside and one from the lower slopes, which combine to make a fullbodied yet stylish Meursault with an impressively handsome texture. Representing the best that the village of Meursault has to offer, this will mature well. Patrick Javilliers south-facing holding of Corton-Charlemagne never has any trouble in ripening sufficiently to make superb wine. 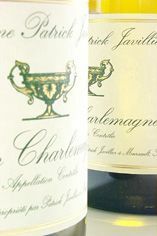 This Corton- Charlemagne is a rich, powerful, fleshy wine with an all-important mineral core lying just under the surface which will be revealed over the years to come. The nose is very closed in its youth but nevertheless it is a very fine example of this Grand Cru with a steely intensity, a bevy of dancing minerals and real power at the back of the palate – as well as a very long finish. This is the fattest of the Javillier Meursaults but it is still totally in balance. Really beautiful across the middle of the palate with a hauntingly fine, perfumed aftertaste, this really lovely! Full and clear with a very stylish bouquet of classical stoniness, this is an impressively dense Corton-Charlemagne which needs more time, though everything already shows in balance. Oak lends graceful support. The 2010s here come in various slightly different styles according to the picking date. Bourgogne Oligocene was picked early, most of the Meursaults the following week while Tte de Murger came in last with extra ripeness in the grapes. Plans are taking place for the future though Patrick has no intention of retiring yet. One daughter, Marion, has been working with him for several years and he has now been joined by son-in-law Pierre-Emmanuel Lamy (no relation to Olivier). The lovely, racy personality of this vineyard is well served by the generosity of 2017. The wine is very fruity and open, with notes of white flower and peach stone, but counterpointed by a firm, detailed structure, typical of this lime-rich site. Drink 2021-2025. Since our visit last year, Patrick’s dream of an appellation exclusively for generic wines from the Côte d’Or has been realised and the label of the estate’s estimable Cuvée Oligocène proudly announces its new status. For 2017, Patrick’s daughter Marion explained, they didn’t need to keep too much of the lees, as the musts were already rich and they preferred to use bâtonnage for complexity. Harvesting began on 28th August and Marion feels there is a purer expression of terroir this year than last. Casse-Tête (east of Les Tillets) and Murger de Monthélie, on the northern border of the appellation combine beautifully this year, for a wine with an extra dimension that captures the character of the vintage very well, with Premier Cru quality within touching distance. Drink 2022-2026. There was a concern that the 70 percent reduction in volume last year would result in a compensatory big harvest this year, but this was not the case, with a normal crop without intervention. The vineyard, just to the north of the village, is rich in clay, so no new oak is used, and the wine is fulsome and assertive. Drink 2021-2025. Effectively this aims to be the equivalent of a village Puligny-Montrachet. The wine has more impact than the frosted 2016 and there is very good balance provided by ripe acidity, which appears as less penetrating than usual. Drink 2021-2025. 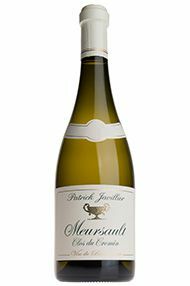 The balance of Patrick’s well-established blend of two lieux-dits, Les Clous, which sits beside Les Tillets, and Les Crotots, which is lower and below the Premier Cru Poruzots, is back to normal, with the latter back to contributing one-third. This is composed and compact, with good acidity and fine minerality. Drink 2021-2025.